For anyone who took the video I posted as a serious video that needed a very serious response, I'll point out that Indeimaus's channel is a comedy channel. He makes silly videos and tries to entertain. One of his most popular videos is "Top ten Dark Souls stones" where he makes a top ten list of, you guessed it, various rocks and stones in the game. Taking his videos seriously is a great way to end up looking very silly. Also towards the end of the video he mentions that he's having fun playing the game and has the achievement for playing for more than 76 hours, so if you didn't make it that far before responding then you done goofed! I remember a video where someone was investigating a ship wreck and the ship was transporting mannequins, but the crew seemingly got killed by the cargo. The captain even left a log talking about the insanity of what was happening. So the implication is that some force in the Fallout universe can in fact possess inanimate objects to bring them to life and commit murder. Yep, that's the one. I got a pic of my first toon, Johnny C, standing in the shed outside (where there's what looks like a practice shrine), with one of the "Welcome To West Virginia" frames. I wonder if they're aware that those special areas exist because devs need to test items to make sure they don't literally break the game (as in, render it unplayable), and that insisting on using those items out in the world might be what's giving them such a terribly unstable experience? Hopefully they manage to banhammer all these cheaters before any new multiplayer content comes out. As it is you barely ever encounter these people in the wild(or anyone for that matter) except during certain open world events. The latest: Yesterday’s patch rolled back the previous patch. In a shop like mine, where we take software engineering seriously, that would absolutely be grounds for getting fired. Lol, I'll believe that if I see it. I'd say rip, but it was never alive to begin with. Really? What noncosmetic item is available in the Atomic Shop? Because I was just looking through it today, and nothing in there makes the least bit of difference to gameplay. His claim, that the temporary effect given by purchasing (for free! Atoms fall on you with ridiculous regularity) somehow "breaks the promise", is as ludicrous as claiming that Witchcraft hanging out in RenCen distributing XP bonuses but only for one weekend is "forcing" players to buy new character slots to take advantage. 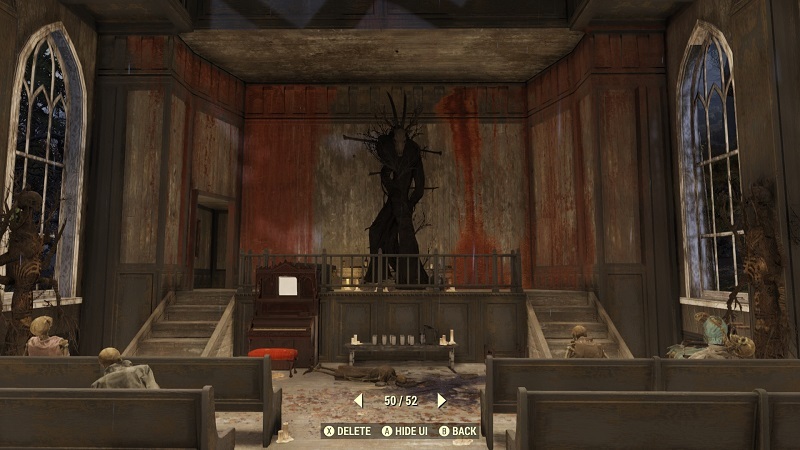 Nah but really FO76 held my interest for about as long as I suspected it would be, and it was fun while it lasted... but I'm going to need to have some new content to bring me back and keep me interested. Meanwhile the RE2 remake is super good and everyone should play it. I played it a lot... and now I am back to fallout new vegas.. trying to figure out where my mods went terribly wrong. It turns out having more than 130 active plugins in New Vegas tends to make the whole game an unstable and buggy mess. I corrected this and it seems to have fixed most of my problems. It's going to start getting really sad soon. 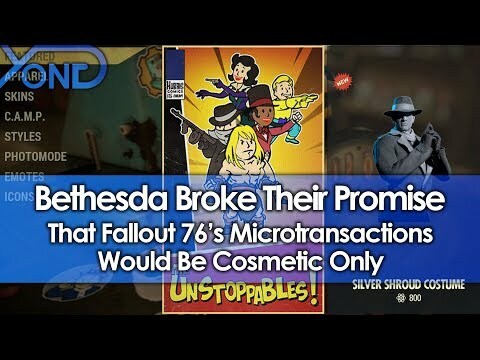 Not the game, I mean the Bethesda Hate Bandwagoners who thought this would last forever. There's this whole meme of "RESET THE CLOCK!" when something goes wrong with the game, and people are already starting to get desperate to keep it going. - A cheater claims they were wrongfully banned for having too much stuff RESET THE CLOC0- Wait... oh turns out they were duping. Don't reset the clock. - A store somewhere bundles a copy of the game with a 5$ gamepad accessory. RESET THE- no, that has nothing to do with the game itself. No clock reset. - Some girl has an allergic reaction to the glue on the power armor helmet. RESET- nope, common reaction to a commonly used glue. Leave that clock alone. - They broke their promise on Pay 2 Win REEEEEEEEEEEEE- Oh calm down, it was a 1 week event and pvp is completely voluntary. - But what about lunch box buffs?!? REEEEEEEEEEEEEEEEEEEEEEEEEEE - Not even in the game. "what ifs" don't get to reset the clock. Okay, so what's their excuse for the XBox 360 port? It's ok. Starfield will fix everything. This sounds exactly like the problem I was having. Something I read said that 130 was around the max limit for mods so I cut it back to around 125 or so and so far things are feeling pretty stable. And the Starfield modding community will fix the rest. > It's ok. Starfield will fix everything. > And the Starfield modding community will fix the rest. Being the multi-million dollar developer that they are they could invest in making an improved version of the aging Creation / Gamebryo engine so that it'll run more optimally on modern systems, but what do I know. I honestly don't know lol. Seems fine now. The problem is likely due to conflicting mods. Especially if you have 130 running at once.... I've been modding games longer than I've been playing games online. #1 rule is that each line of code only does one thing. For one example, you can't have a single dialog button display two different dialogs at the same time. the UI just doesn't do that. Now adding dialog options can work, as long as they're each occupying their own place in the code and not trying to use the same place. I have no idea what specific issue you had since I don't even know which mods you were using or what any of them did. Seems to me that if you have over 130 mods, some of them are going to conflict. There are only so many things a mod can do, you know? Heck, I run into the problem on FO4 on XBone if I have more than ten or fifteen of their mods going - especially the big ones like the Unofficial Patch or Project X. They just tie into too many things.